Wet Sun Light Show – Liquids and Oils. 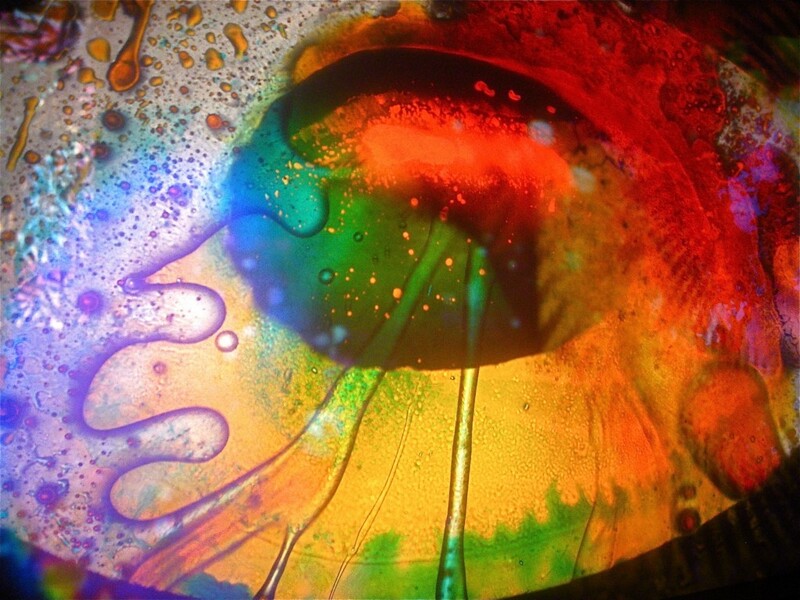 Psychedelic oils and liquids. 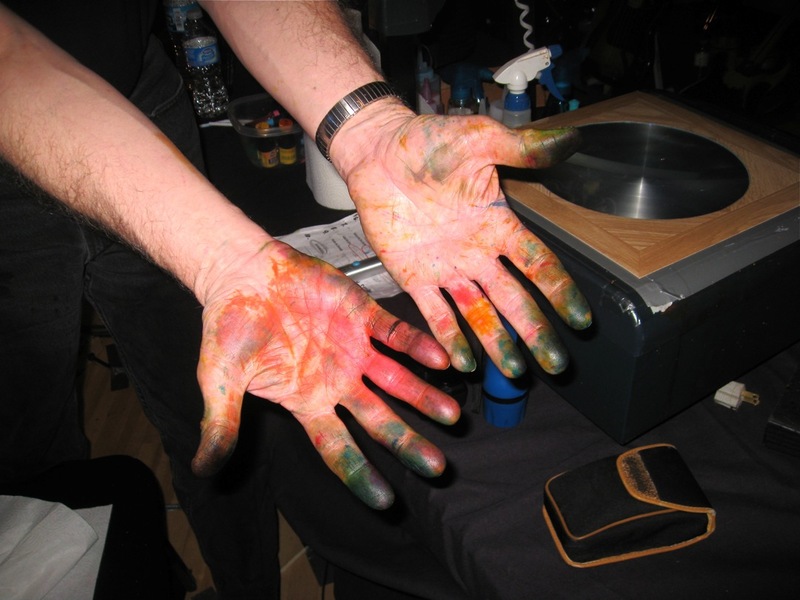 Wet Sun Light Show – dye on hands with overhead projectors.